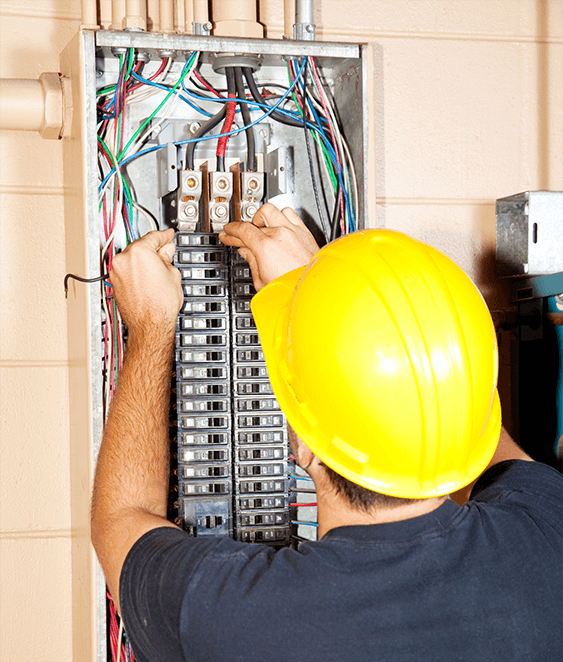 If you're looking for a professional electrical panel upgrade in Los Angeles or an electrical panel replacement, look no further. We will help inspect your current electrical panel and provide you with the best options available. Electrical wiring in homes can profoundly impact the overall safety of you and your family. Electrical panel upgrade in Los Angeles will ensure your house safety and to some extent, also increases the resale value of the home. Very old electrical panels are prone to sparking, which can be dangerous, so upgrade your electrical panel sooner rather than later and keep your home as safe as possible. We can help upgrade your home’s electrical panel to meet all necessary safety standards just call Gomez Contractors & Builders for fix electrical outlets in Los Angeles. might be time to upgrade your panel by a professional. "So, I needed some security cameras, additional outlets and some chandeliers put in for my home. Gomez Electric gave me a fair price for the work that was done. " "Super professional. Super friendly. Brought a helper. Super neat. Showed up on time. Fixed the problem. What more could you ask for?" "We called multiple electricians we we had an emergency in our house they were the only ones that responded quickly enough. They were professional and reasonable in their pricing."